If you don't already have a Mailshake account, create one at this special link that won't require you to enter a credit card. Once you're logged in, first be sure you've switched to the team that you want to apply the promotion to. 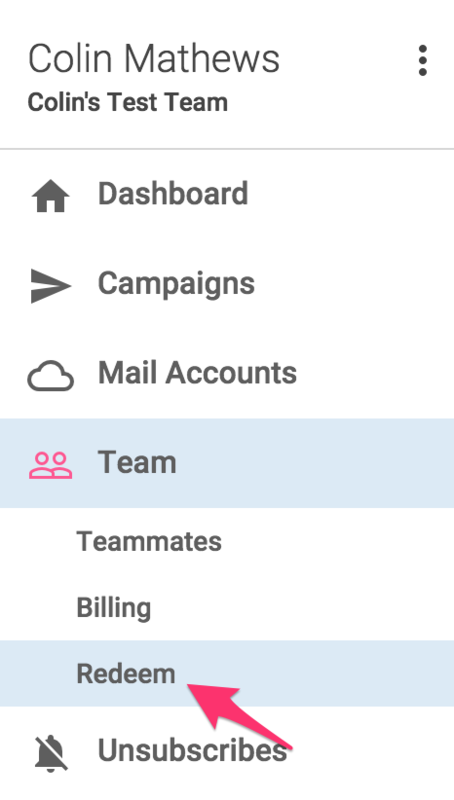 Then go to the "Redeem" page in the left menu (only visible to team admins). 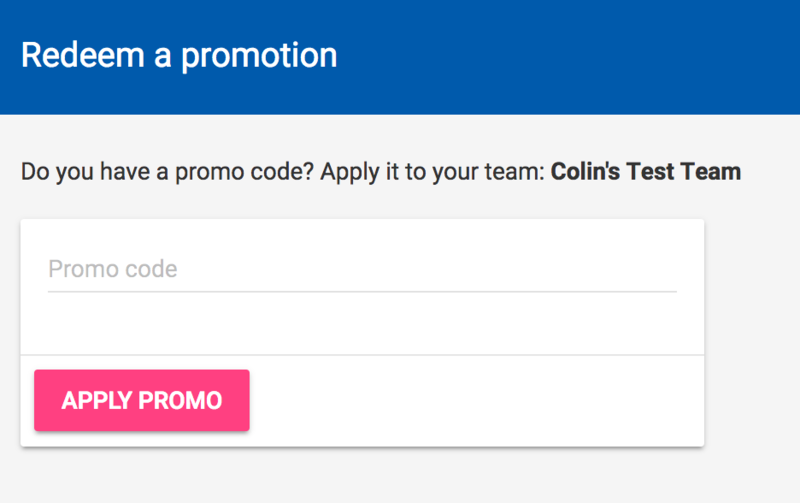 From there you can simply enter your code and hit "Apply Promo."